This thesis was written as part of a MOOC I took. More info here. 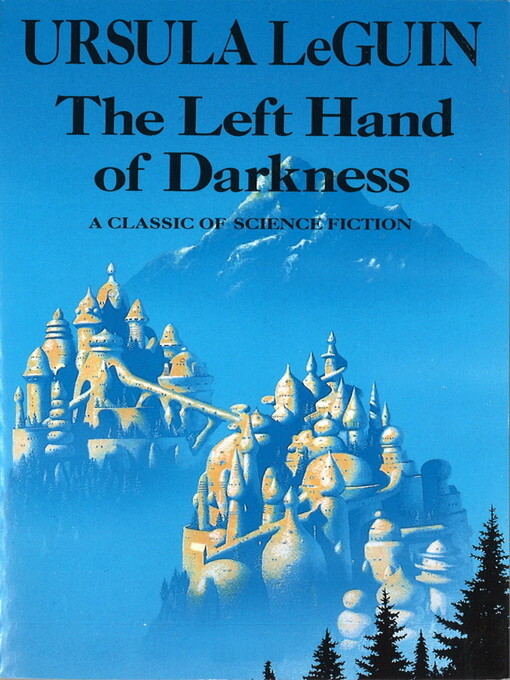 The Left Hand of Darkness is about duality in different forms, whether it be the duality of male-female, cold-warmth, or light-dark. This concept is referenced clearly in a scene where Genly Ai draws the yin-yang symbol, then explains it to Estraven as “It is yin and yang. Light is the left hand of darkness… how did it go? Light, dark. Fear, courage. Cold, warmth. Female, male. It is yourself, Therem. Both and one.” The first half of that statement “Light is the left hand of darkness” is part of a Gethen poem which goes “Light is the left hand of darkness, And darkness the right hand of light. Two are one, life and death, lying, Together like lovers in kemmer, Like hands joined together, Like the end and the way.” The primary concept of Duality is that opposites complement each other, bring balance, and are an indivisible whole, inseperable from their parts. The people of Gethen/Winter live with this duality in their individual bodies, and can physically manifest one or the other aspect of yin-yang — the male or female. Yet, they can maintain such a state only temporarily, before going back to their permanent state of neutrality. This is in stark contrast to humans, as, on a biological level, we actively seek for a mate to complete us. Through the latter half of the novel we see that Ai is troubled constantly by the bitter cold of winter, whereas his companion Estraven seems unaffected by it. On the other hand, Ai is the stronger of the two, which Estraven admits to, in his diary. This shows how each of the two begin to overly manifest opposing characteristics when put together for long periods, and that this is a natural state of being. When Estraven goes in Kemmer during their march through the Ice, he is making their male-female interaction — and possible attraction — overt. You can view the previously published theses here. 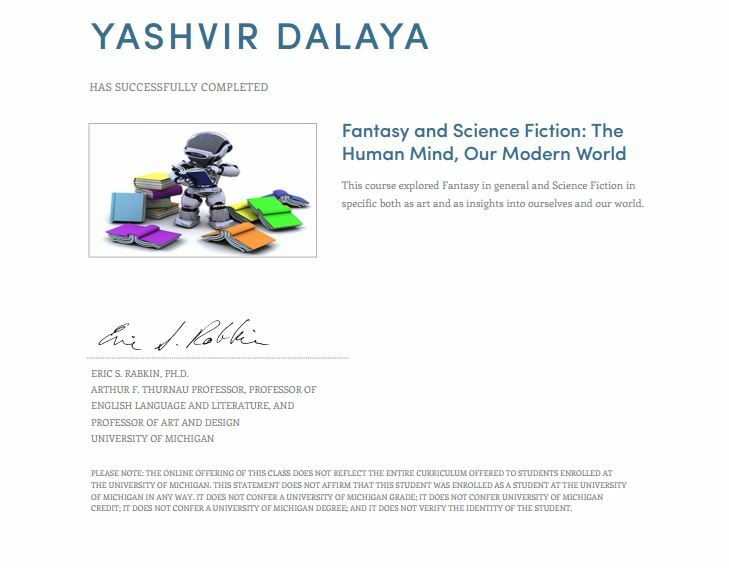 The 11-week-long course called ‘Fantasy and Science Fiction: The Human Mind, Our Modern World’ put out by The University of Michigan on Coursera ended a few weeks ago, and involved writing several theses, details of which I’ve written about here. …and having traveled an approximate 15752232000 number of miles around the Sun (Google’d it, of course), while also flying through space, a number I haven’t the patience to even look up Google for, I’ve realized that considering myself to be 27 right since the day after my 26th birthday has been a wise choice, and now turning 27 is a passing ho-hum moment of minor note. Still, it means I’m a year older (and maybe wiser, though that’s debatable) and I get to say a few words on this blog which is my own, only requesting — although, since it’s my birthday I should be demanding — some degree of patience from you, dear reader, for this post shall be verbose, but hopefully not ramblingly so; though you shall be a better judge of that. So the past year has been good in terms of the places I went to, the things I did, and, especially, the books I read, not the least of which were academic and non-academic works on Stoicism and related Hellenistic philosophies, which reignited my childhood love of philosophy and science (note that philosophy and science, for the better part of the time humans have spent on this planet, have been one endeavor only recently divided into separate, but not disparate, branches of universal inquiry) and it couldn’t have happened at a better time; what with having to deal with the manifold issues of clinical depression, work and home-related stress, and the resulting (somewhat) disagreement-that-led-to-excommunication of a best friend; and it all felt like it was coming apart at the frayed seams. Some people need religion; all I’ve ever needed was the right use of reason and judgment to guide my actions (which is what religion gives you, really), and Stoicism showed me an ancient but well-trod — if not of late — path towards a more tranquil state of existence, one that is accepting of the simultaneous order and disorder of the universe and placing the onus of individual happiness on the individual himself or herself, which is fine by me, really. “Love the people fate binds you to, but do so with all your heart”, said a really awesome dude by the name of Marcus Aurelius; and I’m bound to my closest friends, who are there for me, irregardless of whether I’d want them to be around (and they sometimes pick inopportune moments to), the ones I find most tolerable (and are tolerant of me), those who will lift your spirits by saying the dullest most regular things while inserting (whether meaning to or not) the profoundest thoughts within them. I’m particularly glad to have developed deeper relationships with a few of them, this past year, with whom I can relate to on the things that matter most to me, and do so on a level that others would do well to envy, but more importantly, to learn from, on how friendships should function, and where ego should have no place. Also, there was a prodigal-something-or-other who hath returned to the fold after a brief disappearance into a black hole of possibly Nietzsche-induced existential crisis, and having emerged from said hole, proceeded to be an almost right-functioning (I know you’ll get there) human being. No man is an island and I’m grateful for everybody I’ve known through the years, family and friends, because you all shaped me, taught me, guided me, helped me become who I am today, and so I in turn can pass on what I’ve learnt to others, and continue the inexorable cycle, hopefully for the greater good. And we’re all in this together, tossing through the chaotic cosmos on Spaceship Earth. 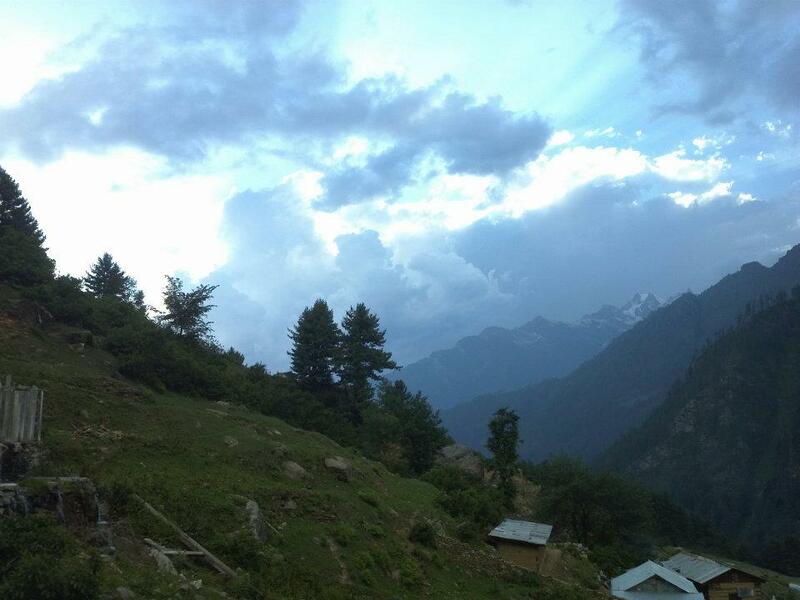 My journey into the mountains was spiritually cleansing, and the one or two times having come face-to-face with death, nodded at it in passing while climbing a particularly steep incline with no water, no people around, only jungle, and no idea of if we were lost or stupid or both. In those instances the whole of one’s existence becomes like a timeless burgeoning entity of jelly-like simultaneousness, throbbing and jostling, but not overwhelming, a mixed-fried-rice that is all-thought-at-once existential clarity. I started writing a novel which I’m a little more halfway through and hope to finish a final draft before the year is out, although I’m not sure of what next: maybe a collection of short stories or another novel, the outline for which I have in mind and the characters’ idiosyncrasies drawn from the richness of the personalities of the people I deem my closest friends. They’re all good people and essentially as wayward and fucked up as I am, which is why we continue to be friends and secretly-not-so-secretly stick our collective noses up at the “establishment”. The book will probably be a work of fiction that could be considered a fair description of real life, and but not real life as depicted in the movies, but as real real-life, the sort you and I live; the constant drudgery, the snatched moments of peace, the longing for something new or delightful, an escape to an exotic place, the fears and pains, the constantly-niggling caricatures of ignorant people we’re all doomed to suffer from one waking moment to the next. That’s what I’d want the book to be about, ideally. I took two courses online and dropped out of a third, so kudos to me for sticking through the two. The courses taught me much, and also reminded me that learning is possible at any age and that anyone who tells you you’re past the age to “learn” is lying. Learning is a continuous lifelong process, and advancements in the field of neuropsychology in the last decade tell us that our minds aren’t static, unchanging blobs that lose neurons all our lives, but are malleable, possessing of a feature they term “plasticity”; allowing us to learn new skills, develop, and even increase the size of certain grey matter. Learning something new is its own reward, and anyone can be an autodidact, if you only choose to be passionate about the subject you wish to learn and follow-through to the end with the learning of it. If you made it till here, thank you, and bless you for reading.